The POWERplus Barracuda combines dynamo and solar technology to charge. The ultra bright LEDs gives a strong light. 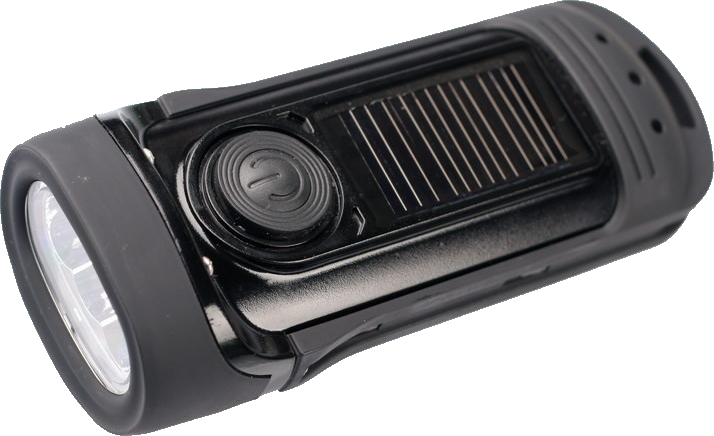 This heavy duty flashlight is rainproof.